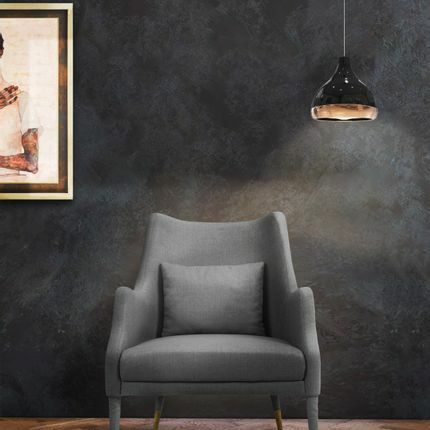 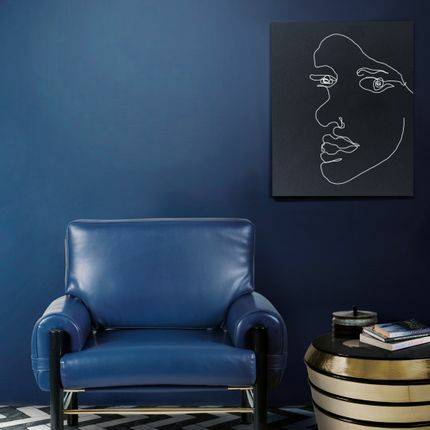 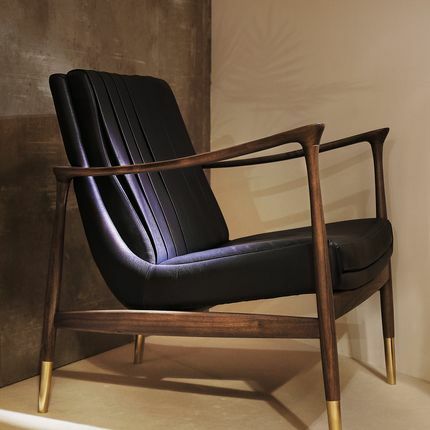 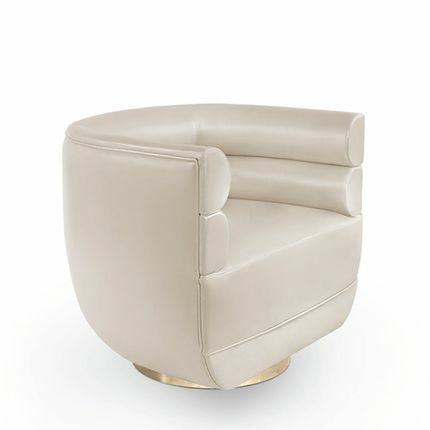 Inspired in the feminine silhouette of Brigitte Bardot, this armchair boasts modern contours, both on the slightly reclined back and on the rolled seat. 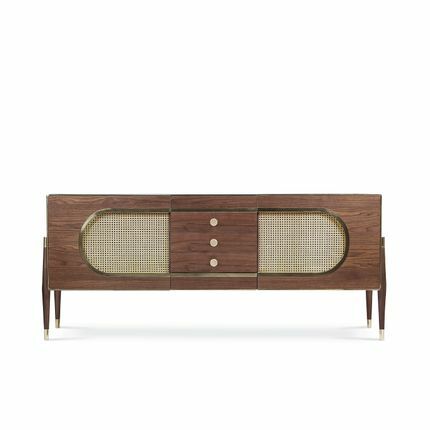 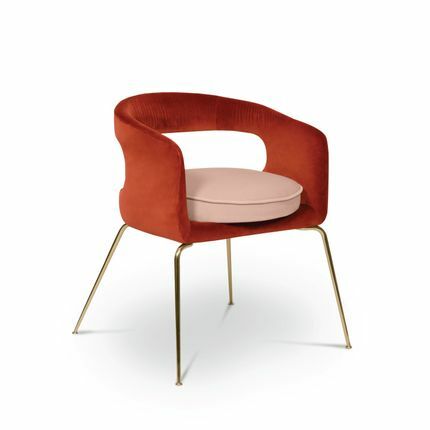 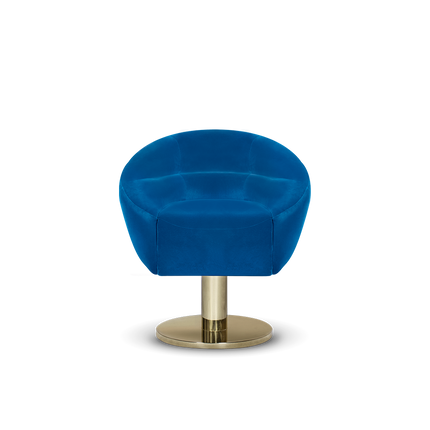 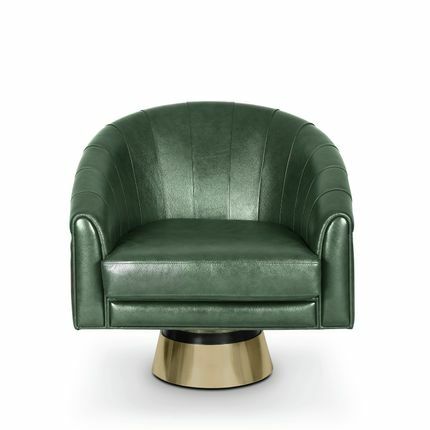 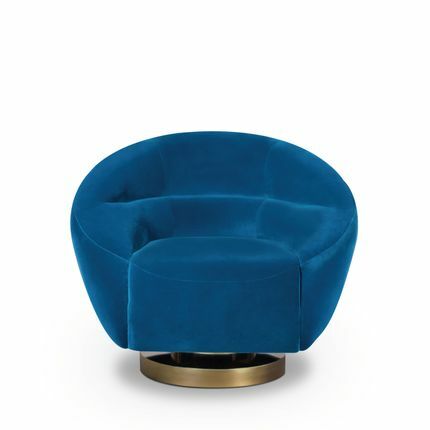 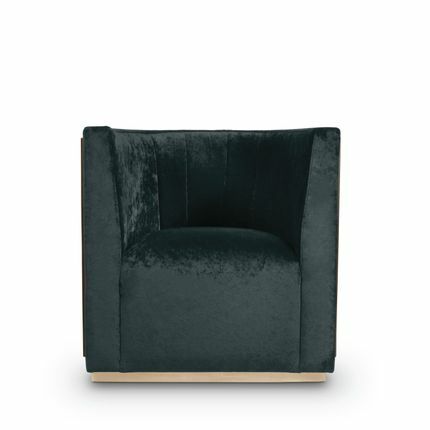 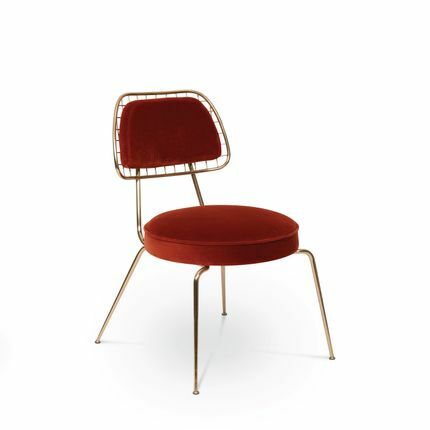 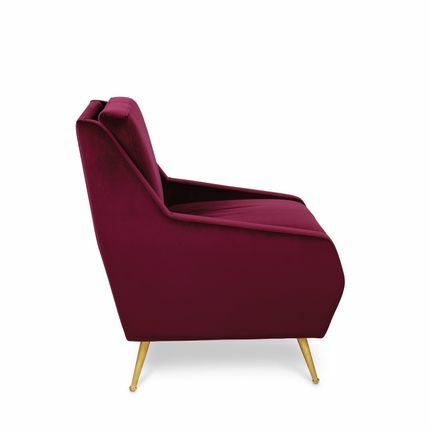 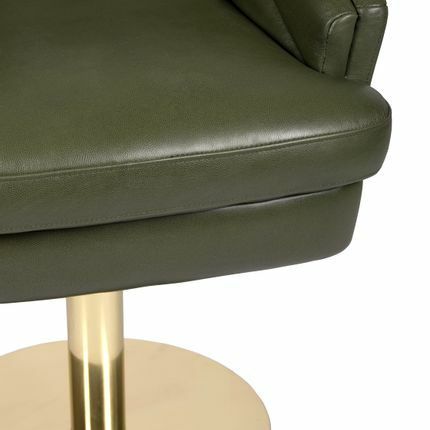 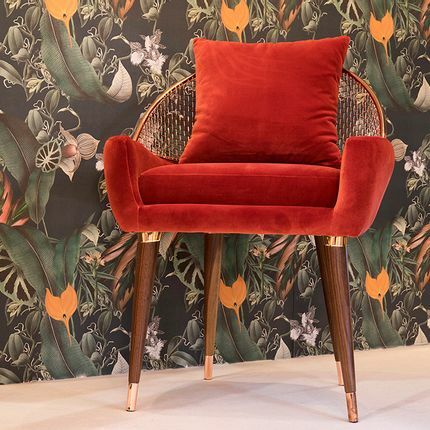 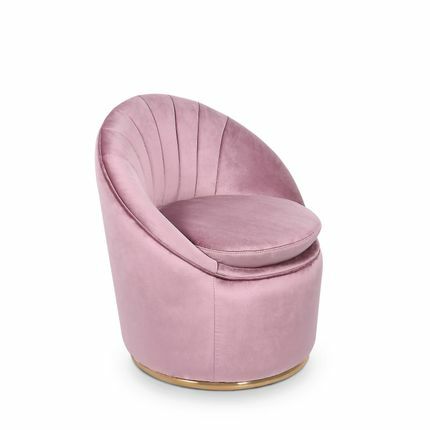 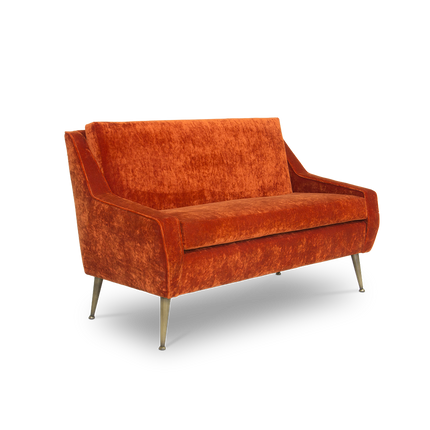 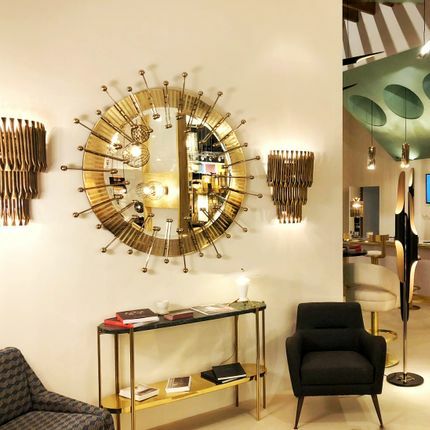 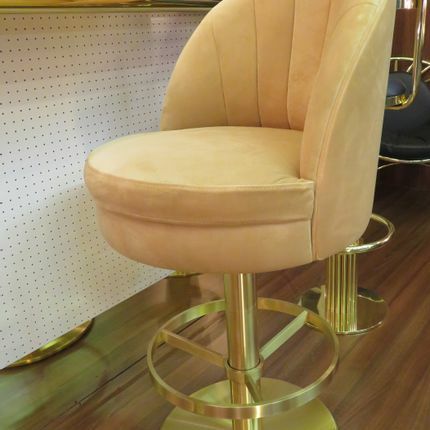 It is upholstered in velvet and features tiny tapered legs in polished brass. 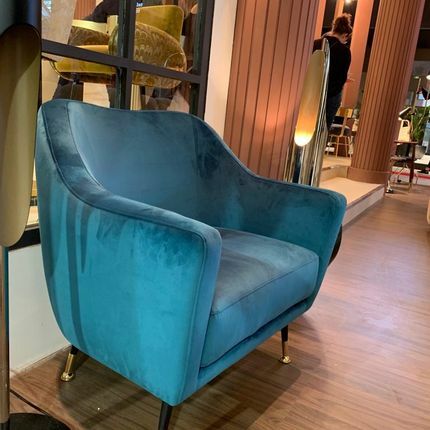 The key shape of the slopping armrests and the horizontal tufting make this armchair an accent one for your living room.